What would I do without gray in winter? A gray monochromatic look is the solution for those days when I wake up feeling uninspired. I wore this look a few weeks ago, but I was looking forward to show you! The jeans are from Salsa and they are so comfortable! I ordered them online in December and I was so happy when I tried them on, they are perfect (stay tuned because I have many news to show you with Salsa soon hehe). Hope you like the look! Lots of kisses and happy week! O que seria de mim sem cinzento no Inverno? Um look monocromático cinza é a solução para muitos dias em que acordo sem inspiração. Usei este look há umas semanas atrás, mas estava ansiosa por vos mostrar! As calças são da Salsa e são tão confortáveis! Encomendei-as online em Dezembro e fiquei feliz quando as experimentei e as vi ao vivo, são perfeitas (tenho muitas novidades com a Salsa para breve hehe). Espero que gostem do look! Muitos beijinhos e boa semana! 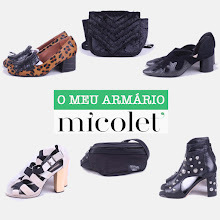 Essas botas são lindas, gostei do look beijinhos! The grey combinations are definitely awesome! Lovely, Francisca! I've been on long hiatus in my blog haha! But great to see this post and now catching up with old blogger friends like you. Keep it up dear! So beautiful! Love the whole look, combination of colours and nice photos.